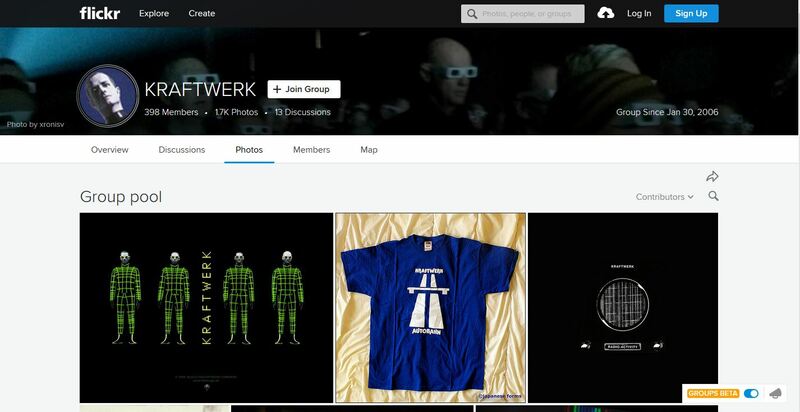 A Huge Kraftwerk community of over 10,000 kraftwerk fans. It is a closed group. That means that anyone can find the group and see who is in it. Only members will be able to see posts though. 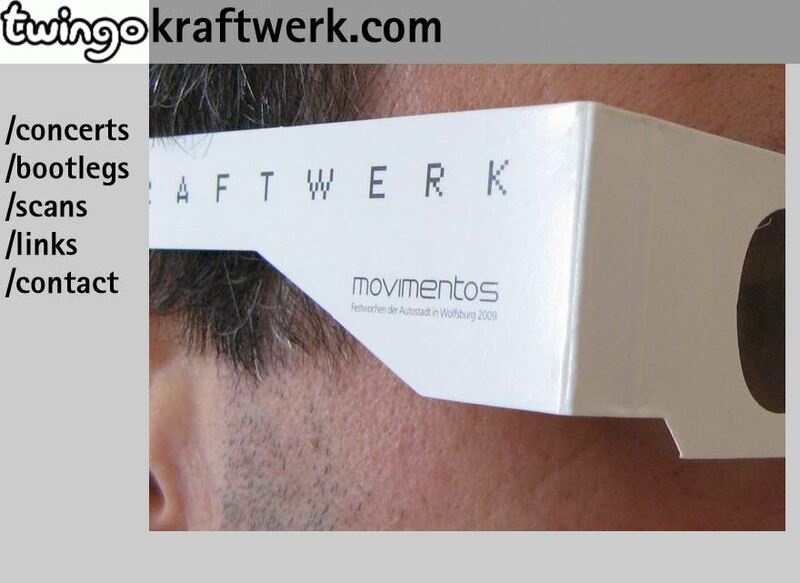 It is a great way to keep up to date with all things Kraftwerk and to meet many like minded folk! An on-line forum dedicated to Kraftwerk. Run by fans for fans. Members are from all over the world. 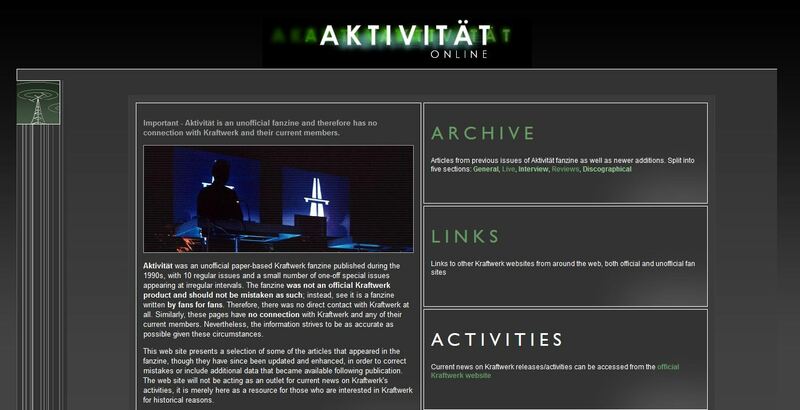 Literally 1000’s of pages of Kraftwerk links, information and videos. For example, there are links to over 170 YouTube videos of The Model alone! You can spend days in here and still only scratch the surface of what lies within. Become a “Super Member” to discover even more. 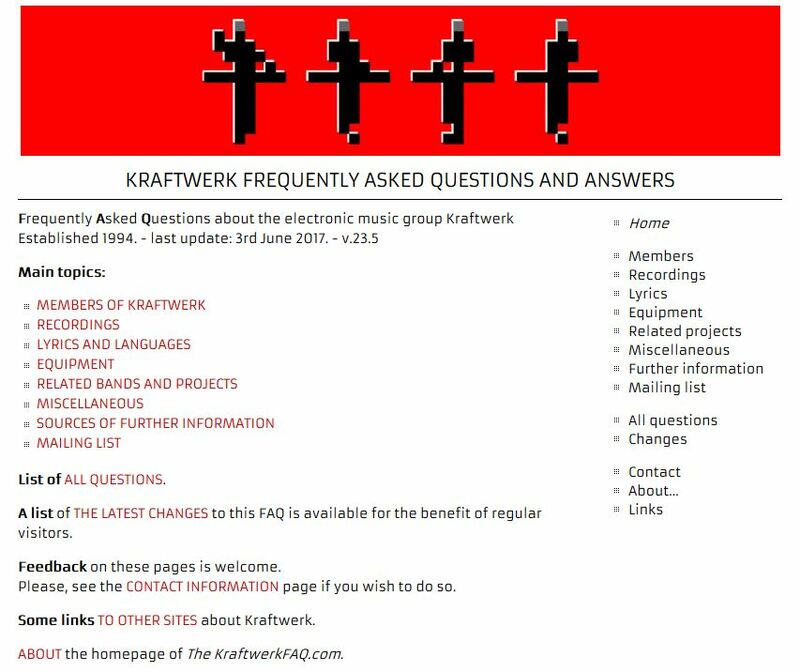 Frequently Asked Questions about the electronic music group Kraftwerk. This site was established in 1994 and is still going strong with constant updates. 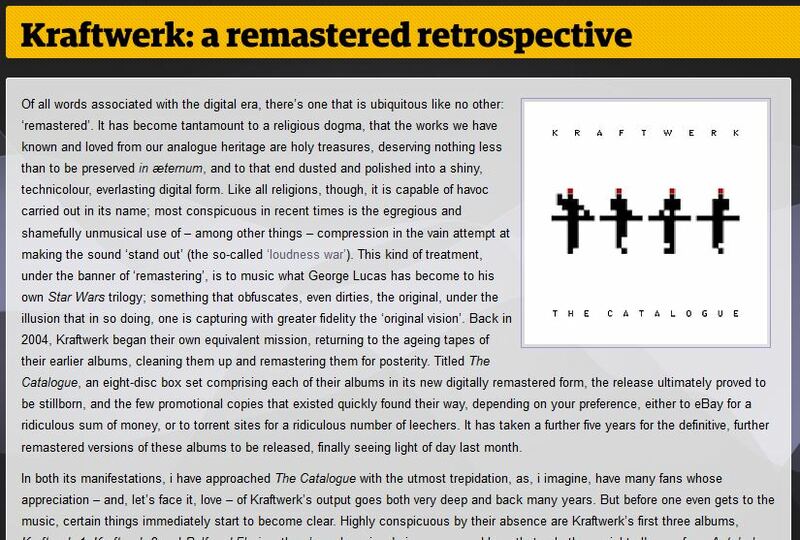 Lots and lots of Kraftwerk facts can be found at this information packed website that is kept very much up to date. If you are a collector, you should know about this site. Discogs, short for discographies, is a website and crowdsourced database of information about audio recordings, including commercial releases, promotional releases, and bootleg or off-label releases. The Discogs servers, currently hosted under the domain name discogs.com, are owned by Zink Media, Inc., and are located in Portland, Oregon, US. While the site lists releases in all genres and on all formats, it is especially known as the largest online database of electronic music releases, and of releases on vinyl media. Discogs currently contains over 8 million releases, by nearly 4.9 million artists, across over 1 million labels, contributed from nearly 346,000 contributor user accounts—with these figures constantly growing as users continually add previously unlisted releases to the site over time. This web site presents a selection of some of the articles that appeared in the fanzine, though they have since been updated and enhanced, in order to correct mistakes or include additional data that became available following publication. 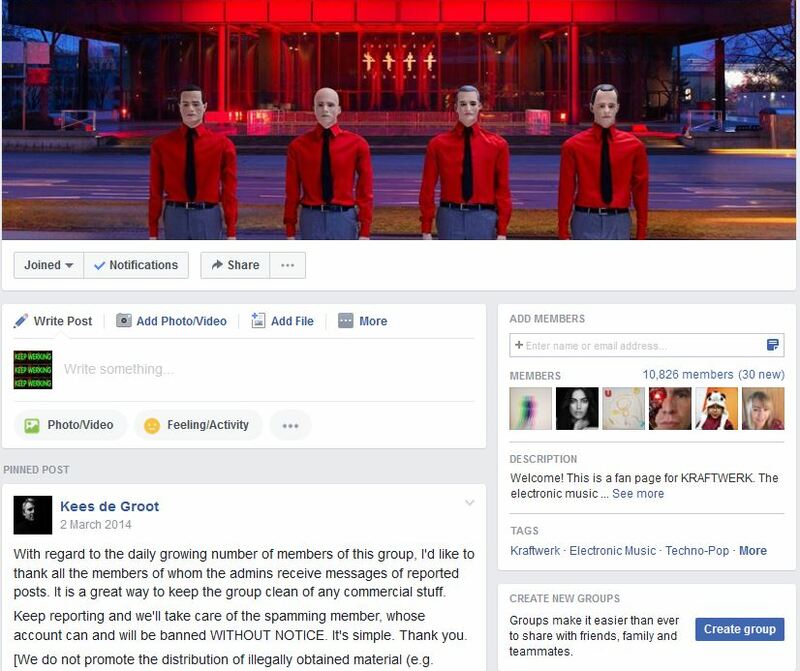 The web site will not be acting as an outlet for current news on Kraftwerk’s activities, it is merely here as a resource for those who are interested in Kraftwerk for historical reasons. A big fan of Kraftwerk, Twingo has kept this site for a long time. It is not update so frequently these days, but the historical concert pages are still a treasure trove of information. Before www.discogs.com Kraftwerk fans from around the world kept a record of releases at this site. 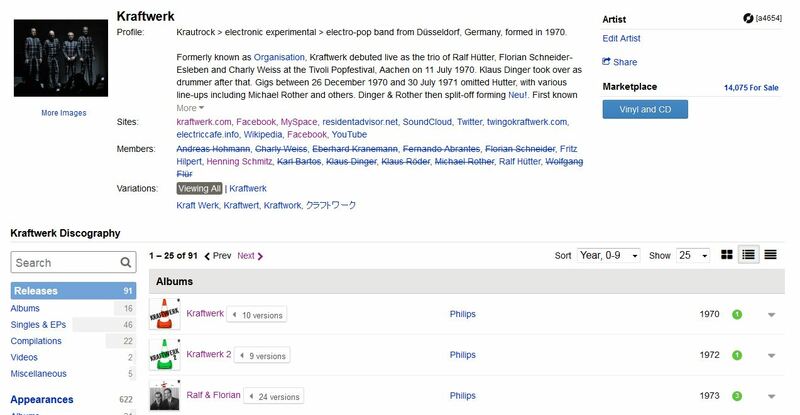 This was the site to go to for all Kraftwerk Discogrpahy information. A collectors gem! A huge group album, full of Kraftwerk related pictures. 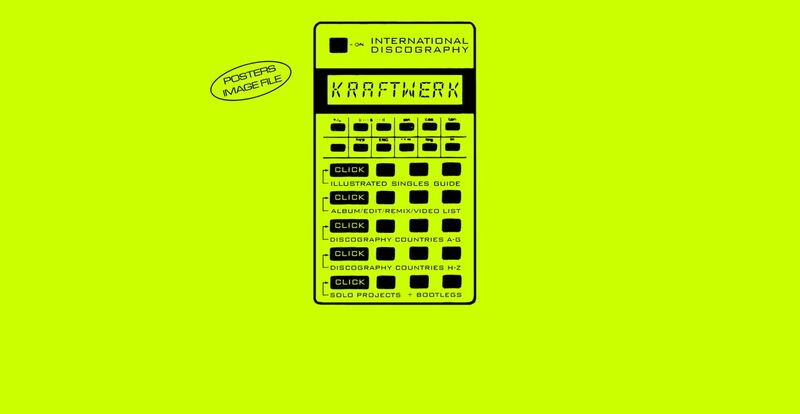 If you like Kraftwerk Kovers then this Kollection, all mixed up, will amaze! 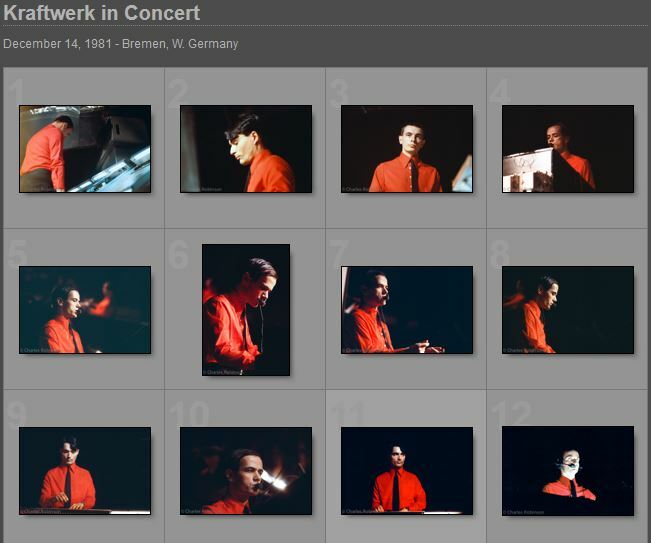 Some of the best pictures of Kraftwerk performing live back in 1981. All credits to the photographer of the day, Charles Robinson. 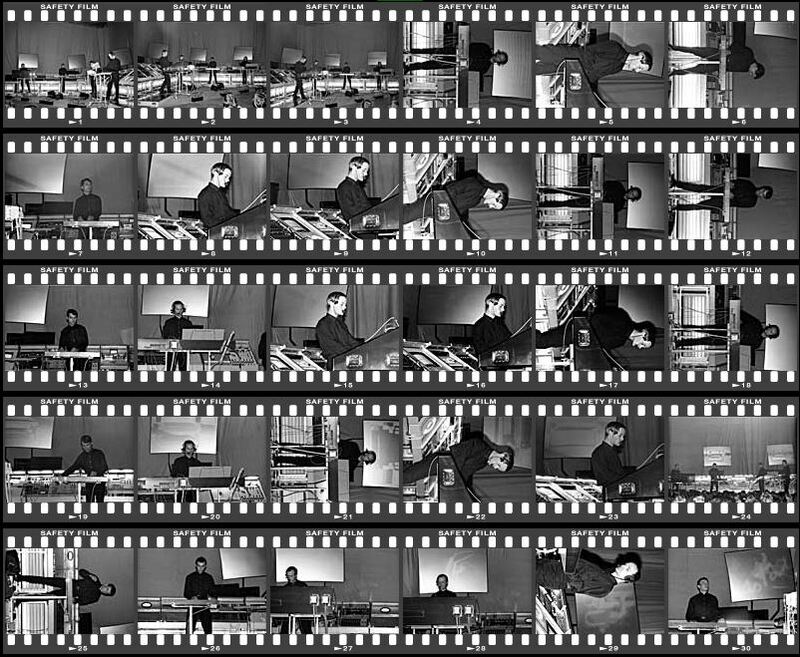 Some of the best Black and white pictures of Kraftwerk performing live back in 1981. All credits to the photographer of the day, Wolfgang Wiggers. Some more incredible pictures from a by-gone era! 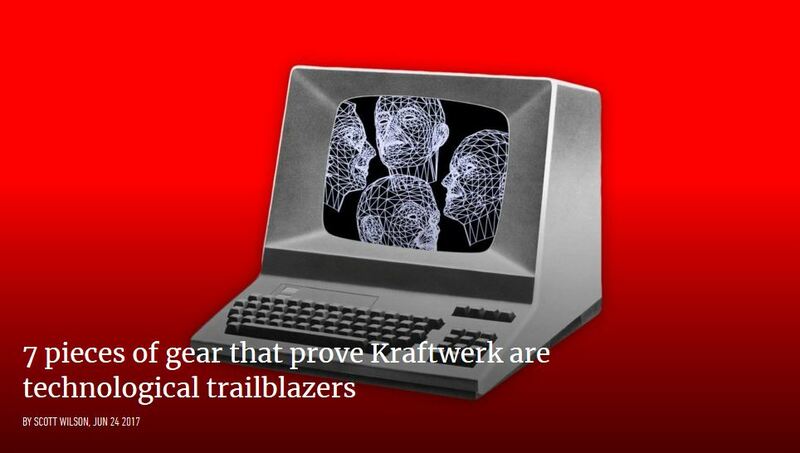 Kraftwerk are true pioneers of electronic music, laying down the blueprint for synth-pop, techno and electro. The German band are also technological innovators, often crafting their own custom instruments to realize their vision. 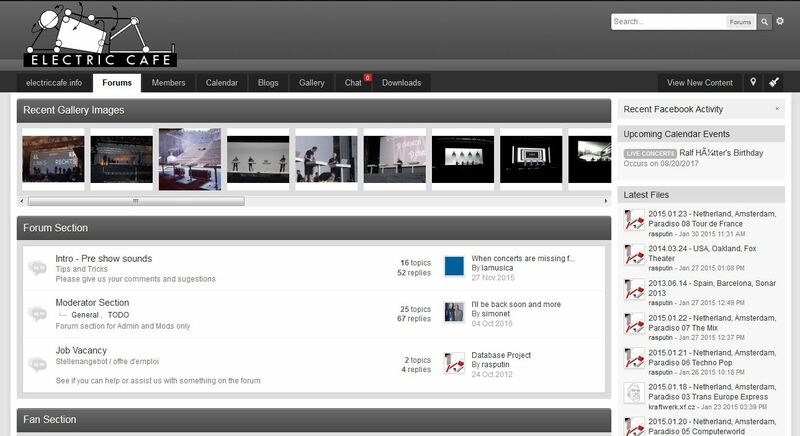 Scott Wilson picks seven of their most pioneering uses of technology in this interesting article. 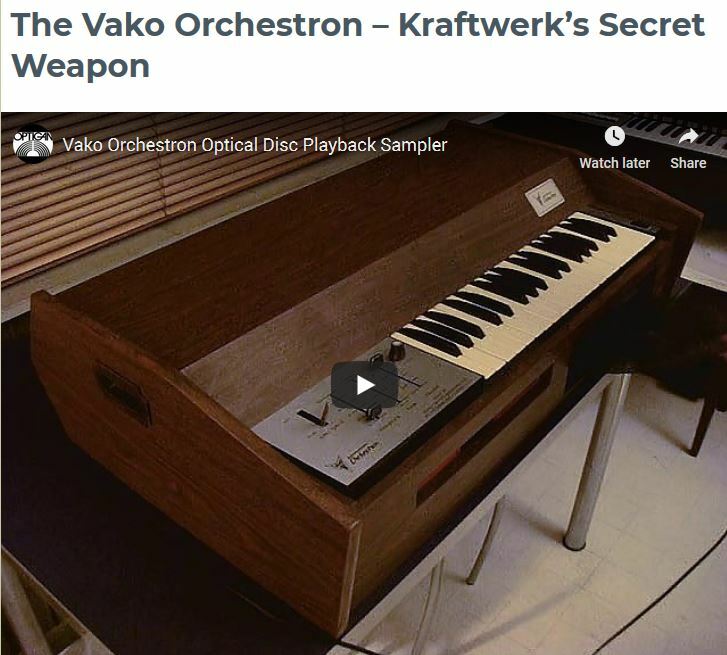 Details of the Vako Orchestron – the rare and bizarre sample playback keyboard that’s part of Kraftwerk’s iconic sound. Some snippets of “Trans-Europe Express” by Kraftwerk so that you can hear the Orchestron’s “Violins” sound. A comparison between the Catalogue Promo box set audio quality against the 2009 production release. Do you know of a web page? 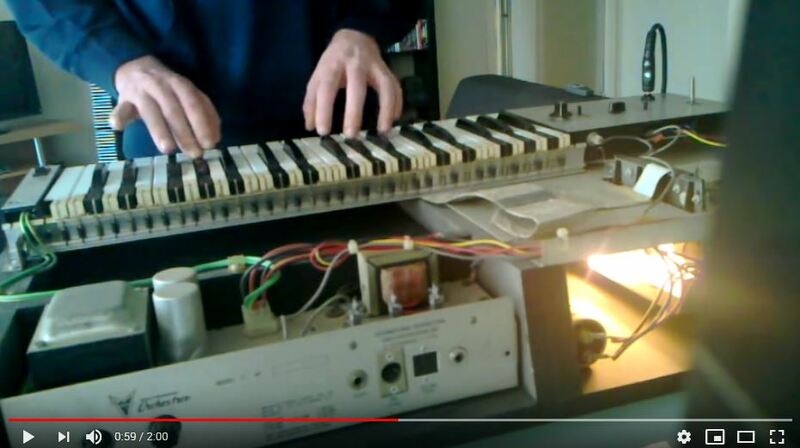 Do you know of an interesting Kraftwerk related website that I could share on this page? Then please let me know. Alternatively leave a comment below.